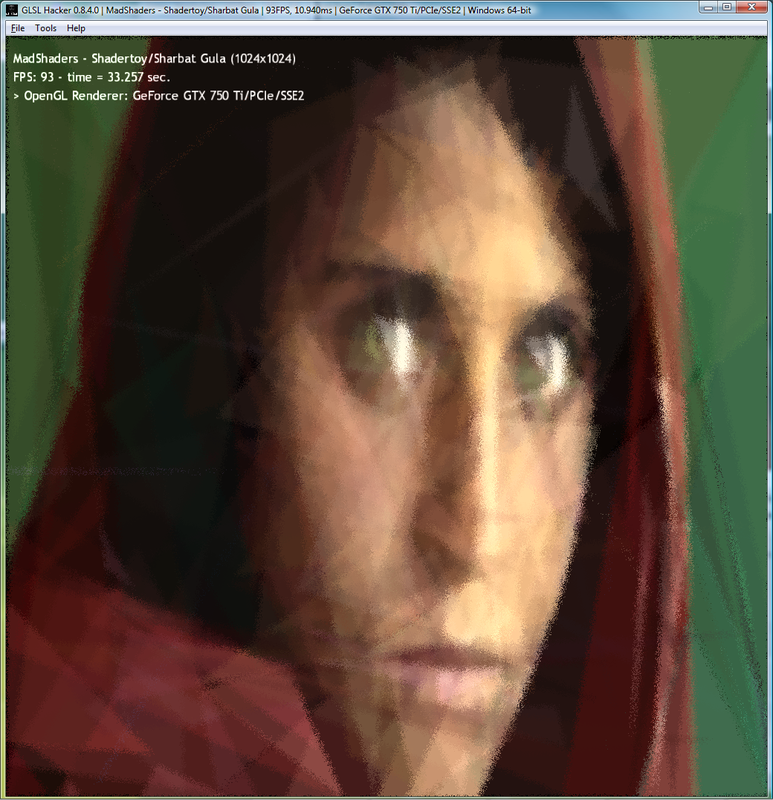 Sharbat Gula converted to GLSL Hacker format. Study the fragment shader before you confuse this demo with a photo. <window name="win3d01" title="MadShaders - Shadertoy/Sharbat Gula"
// Sharbat Gula. Iconic image from 1984. // Afghan Girl is an award-winning photograph by journalist Steve McCurry. // to home in on the original image. // Overlapping transparencies of 256 triangles with moving dither. // On Windows this will only work in the latest Chrome browser (36.0+). Thanks for your work Stefan!